Buyers can get in touch with us for availing the Traffic Transportation Instruments from us at market leading prices. As a reliable Manufacturer, Importer, Exporter and Supplier from Delhi, India, we are committed in delivering a quality assured product to the buyers. We are proficient in delivering small or bulk orders of Traffic Transportation Instruments to buyers on a timely basis. More about Traffic Transportation Instruments : We strive to provide the best services and tools to our clients in order to assist them with both optimizing their pavement maintenance and rehabilitation (M&R) expenditures and improving the overall quality of their pavements. 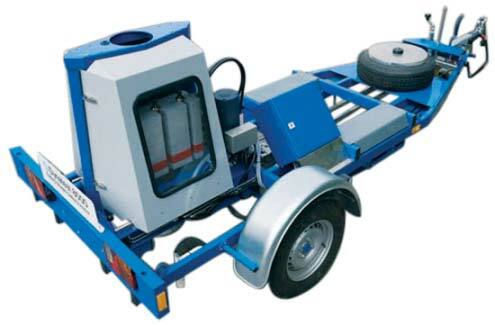 Our product range includes a wide range of Traffic & Transportation such as Falling Weight Deflectometer (FWD), Heavy Weight Deflectometer (HWD), Light Weigh Deflectometer (LWD), Pavement Friction Tester, Pavement Management Software, Road Surface Profiler (RSP) and many more items.